Signal your fans in a big way when you post the Comic Book Poster in advance. 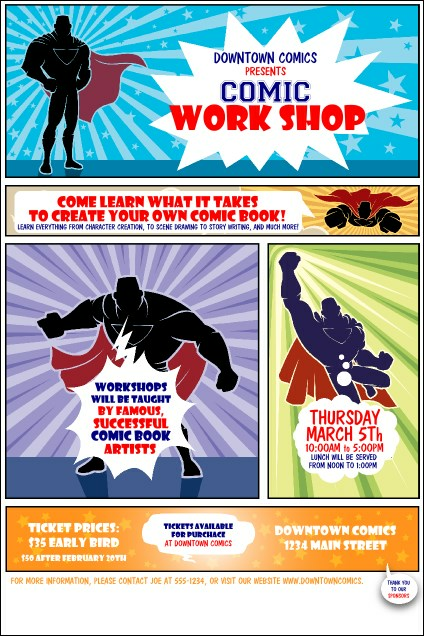 This bold design works for conventions, workshops, and comic book store events, with caped heroes announcing the details. Enter your information in the template below and we'll get them to you in a hurry! Poster measures 291mm x 436mm , appx. Draw a crowd with the right design from TicketRiver.com.au.